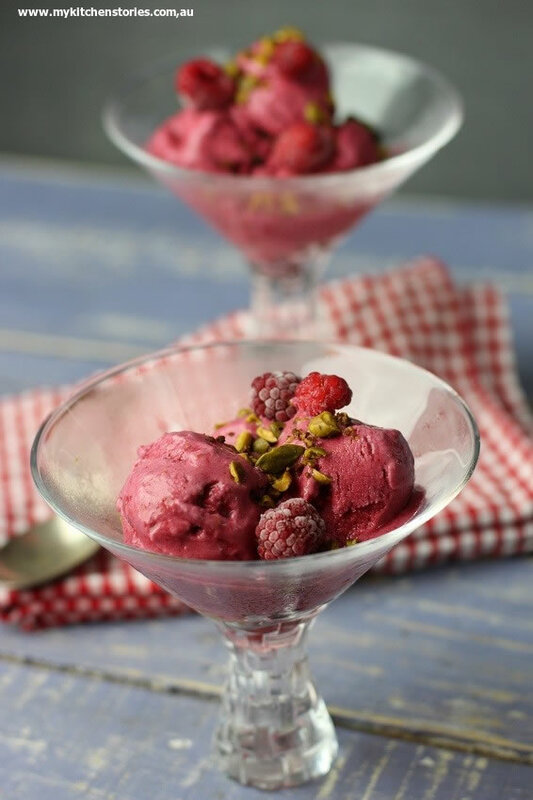 Easy Raspberry Coconut Ice cream that’s Vegan and gluten free but tastes like everything you shouldn’t eat is here! I had an Italian ice cream maker in my life for a few years. Yes, you could have ice cream when ever you wanted provided you put a little effort and attention in ice cream could be yours. But that ice cream maker started to be very troublesome and I had to stand holding his churning parts till he was finished and I just got the jack of it. 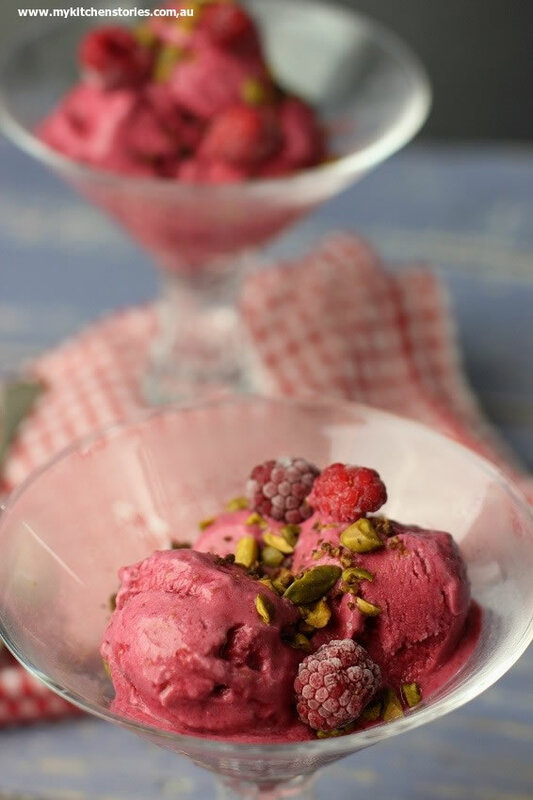 Did I hear you asking about this Raspberry ice above?. Well I am so glad you did because it’s a revelation. I won’t tell you that I ate the whole recipes worth of the one above because I convinced myself it was good for me. It really does take a swift 5 minutes, oh go on it takes longer if you are going to clean up, but you could even make this at the very last minute and serve it with a chocolate dessert. It really is the ultimate soft serve. A blender produces the best results because it pulverizes the tiny seeds, but you could make it with a processor or hand held blender. AND if it is important in your world this has no dairy or eggs….go figure. I used a vita mix to make my ice cream, but you can use a hand held blender or food processor if you don't have a powerful blender. 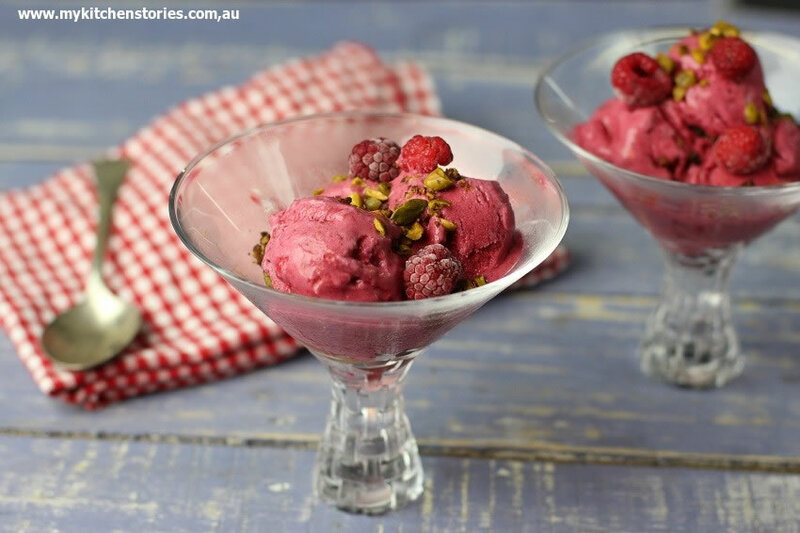 Put the coconut cream and raspberries into the blender and blitz till smooth. Eat immediately with roasted crushed nuts or a chocolate dessert. You can put into the freezer for several hours if you want to make it ahead. The motor in my gelato machine carked it recently. I don’t think anyone has parts. The compressor works great but nothing turns. Makes me angry to spend that kind of money and have no way to get it fixed. I don’t even get a reply from them on where to take it. 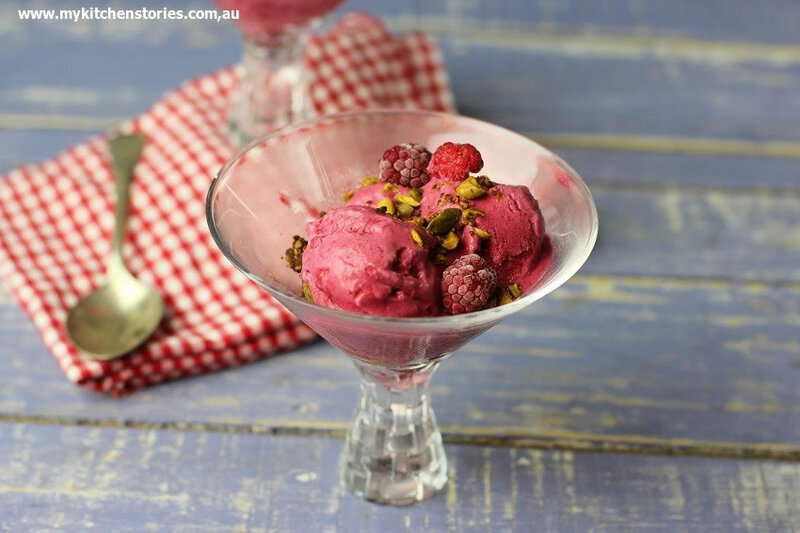 I’ll have to make this ‘fruity dream’ and think back on all the ice cream I did eat. Gorgeous colour! Saving this for the coming summer. Thanks for sharing, Tania. I use a small Mistral Igloo, and have been using it for many years. I think it only cost about $45 9 or so years ago and still going strong. I’ll definitely be trying this recipe in it! Thanks! 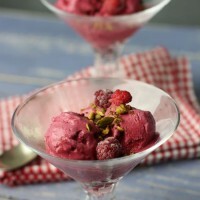 That is such a gorgeous colour – I don’t have an ice cream maker so this is perfect for me. never taste the combination of raspberry and coconut, but betis mstme something hits!!! I’m totally sure that this is so healthy for you that eating the lot at once is justified Tania 🙂 Yummo! What a great recipe! Sounds fast and delicious. I loved your ice cream maker story. It deserved to be kicked to the curb.